Duane Schell is the Chief Technology Officer for the North Dakota Information Technology Department. PUF: What do you do for the state of North Dakota? Duane Schell: My title is Chief Technology Officer. From a macro level, I'm responsible for all the technology infrastructure that supports big government, which includes data centers and all the fun things that belong in the data centers, whether they're in our physical data centers or cloud data centers. I take care of the network. That's an area where we're a bit unique. From a network perspective, we not only serve all of state government, but we also serve local government, and the K through 12 community. It's a bit different than what you typically see in a state government organization. We are responsible for all the service management initiatives that are going on and we're also working with a team of folks that support our K-12 community. They do some training to help the education community leverage technology in the classroom and support a number of applications that we host on behalf of the education community. That's a broad view of my official job. Beyond that, I'm getting involved in all kinds of entertaining things. We've got a dynamic and interesting governor and CIO, so it's a great time to be in government in North Dakota when you've got two remarkable leaders. PUF: What's interesting in North Dakota as far as using new technologies and digitization for lighting, transportation, public safety, energy resilience, and environmental sustainability? Duane Schell: We've got a lot going on. With a very technology-minded governor and CIO, we're leveraging all kinds of technology. It's not about the technology. It's about the problems that we're trying to solve. Then we'll find the technology that will help us solve that business problem. From a state government perspective, it's a focus on how to leverage data better, moving into the general government perspective. Over the years, governments went from paper to electronic. We're really trying to push the envelope now to get from electronic to digital. How do we leverage our data better? A great example is one of the governor's major initiatives that he's calling our Main Street initiative and we've released a Main Street dashboard. That is just a wealth of information that has been, like most governments, buried in a lot of different data bases. It's all brought together into a single dashboard for community leaders to make decisions on how to grow and evolve their communities. That's something we're excited about. It's an example of how we want to leverage data better. If you look across governments, they're masters at collecting data, but I would argue governments, as a typical stereotype, aren't very good at leveraging their data. We see that as a theme across a lot of aspects of what we're trying to do. How do we leverage that data to be able to make more meaningful information from it to give decisionmakers and policymakers the right information to make those right decisions? PUF: People talk about smart lighting, smart streets, using it for public safety, policing and emergency response. What's going on? Duane Schell: It's a variety of things. It's smart lights and smart streets that communities are implementing, specifically as it relates to public safety. We've been a partner with the local communities on standing up our next-generation 911 solution. We've got the state fully compliant on next-generation 911, including the free text at 911. We've had that in place for over a year already. We were in the top ten of the country with enabling texts to 911 statewide. We are in the midst of looking at how we can do public safety communications much differently and better in leveraging legacy technology, as well as modern technology, as it relates to what LTD and FirstNet brings to bear. We see communities doing a lot with body cameras and many other applications to help make data-driven decisions. When it comes to public safety, it's all about situational awareness. PUF: What about electrification of transportation? How does that fit? Duane Schell: Some of the larger states are probably looking more at electrification of automobiles more than you see in North Dakota, but it's a part of the ecosystem. We see bills showing up this session to address some of the policy issues in that area and how to approach that. From an autonomous prospective, we're working closely with our partners at the department of transportation. Highway 83 is a road that goes from Canada all the way to Texas and that road's being positioned as an autonomous vehicle test site. They're taking steps in terms of putting sensors in our roads and being able to be positioned to be ready. If you look at the UAS-UAV world [drones], real exciting things going on there. At the Grand Sky Park up in Grand Forks North Dakota, sits one of the largest UAS-UAV test sites in the country. There's more of them that have popped up, but that one brings to bear some interesting items because of what that facility has. It's a partnership between the public-private sector. We've got the Grand Forks air base there. We've also got the University of North Dakota's Aeronautic School there and multiple private sector parties doing some of the most leading efforts in the country and in the world around what's happening with the UAS-UAV capabilities. It's largely drones. There's a lot of fascinating work and one of the issues that we're working on that the governor is supportive of is how do we solve the beyond visual line-of-sight challenges that exist in the country from a legal perspective and get people to do that with the FAA? The obvious issues that people also talk about is how do you do pipeline inspection? 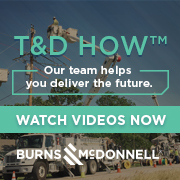 How do you do power line inspection and leverage the autonomous vehicles, whether it be the land or air vehicles to be able to improve those practices and leverage that technology? It should be no secret that those are projects that are active and are going on within our research department. PUF: Where is this going with further integration of these technologies and digitization for the government functions? Duane Schell: We would love to be the Jetsons. The governor has said more than once, he'd like to see a billion sensors across the state. He's not kidding. It's plausible if you think about energy, and North Dakota is a leader in several areas in energy. Oil is the one that gets a lot of attention, but we're a major wind producer. We're a major coal producer, so it yields a lot of energy that is generated here. The egg industry is another one that is great for automation and in sensors. North Dakota is a leader in a dozen egg commodities, energy production and UAS technology and if we're going to remain competitive from an economic perspective, we must find a way to leverage automation, and autonomous sensors. When you look through the governor's budget recommendations, you see indicators all over that putting a billion sensors across the state of North Dakota is not that far-fetched. When you think about the egg industry, people joke about it, but what are you going to do, put sensors on livestock? The answer is yes. That's being done today. There are a couple of test farms that are research farms in the state and they're doing some of the world's leading activities around automation in the egg sector. One in particular is a fully autonomous dairy farm. It's a lot of fun to go and visit. PUF: It sounds like your governor is using technology to attract and retain talented workers. Duane Schell: When you look at where we're at, from an economic perspective, workforce is one of our challenges. Our unemployment in the state is low and our workforce is our number one challenge for growth in our economy. How do we leverage IOT? How do we leverage smart technologies? How do we leverage data to make the right policies? How do we make the right decisions to incorporate what's needed to attract the workforce that is interested in those types of subjects, but also how do we free up workforce to allow the work on different areas and skills? It's attracting and repurposing talent. It's part of our education plan to grow a twenty-first century workforce. You see elements of that throughout the governor's plans and strategies as well. You're spot on in that regard.